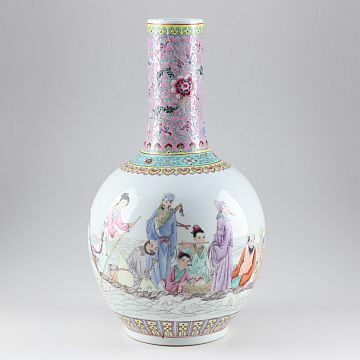 I purchased this floor vase but I'm trying to figure out the age. Any help is appreciated! It dates to the third quarter, 20th century, circa 1950s-1970s. 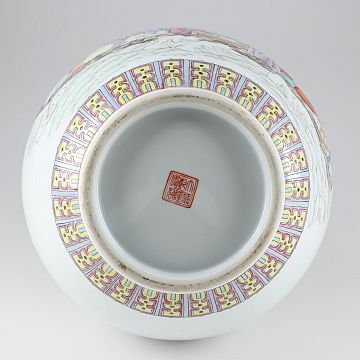 The motif is of the Daoist "Eight Immortals". 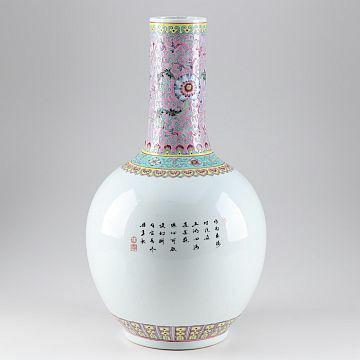 PS, The image is a bit small, but the vase does appear to have a faux Qianlong six-character mark.